Joey Coleman is the self-publisher who runs all aspects of The Public Record. His passion for local engagement began as a teenager when he spoke in front of Council in favour of the renovation of his neighbourhood Boys’ and Girls’ Club. He later sat as the only student representative on the transition committees for the merger of the Hamilton Board of Education and Wentworth County Board of Education. In 2000, he ran for school board trustee in his home ward, Ward 5. Spending just under $500 on his campaign, he secured 23% of the vote in a three-way race. After three years of service in the military, Joey went off to university, where he was active in campus politics and wrote about campus affairs on his blog. In Winter 2007, he was recruited by Maclean’s to be part of a two-person team launching their daily online coverage of higher education in Canada. In August 2009, he voluntary left the site. Disillusioned by the decline of journalism into clickbait, Joey planned to leave the trade. A surprise offer to write a weekly blog post for The Globe and Mail on higher education kept him in journalism. In 2010, Joey took a summer position in his hometown of Hamilton, reigniting his passion for journalism. 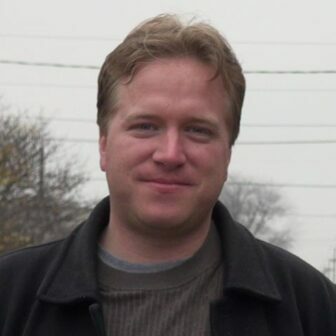 In 2012, he launched his first crowdfunding campaign, and he been covering Hamilton’s civic affairs ever since as Canada’s first crowdfunded local journalist. Joey believes the primary crisis facing journalism is a loss of public trust resulting from the collapse in local coverage. He’s working to solve this at The Public Record. He is a member of the Canadian Association of Journalists and Canadian Journalists for Free Expression. You can find Joey’s personal website at www.joeycoleman.ca. The Public Record does not engage in the practice of exploiting young journalists with unpaid internships and work for exposure. Presently, The Public Record does not engage in work placements. Journalism students are welcome to shadow our editor for up to two days, contact Joey to inquire about shadowing.